S M Ong: What happened to Joanne Peh? 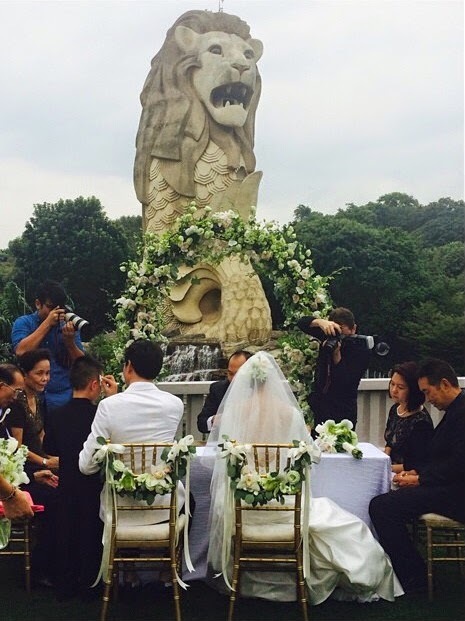 I suppose you’ve heard the big Joanne Peh news by now. I, too, was caught by surprise like everyone else although in retrospect, I should’ve seen it coming. I am, of course, talking about the actress leaving the Channel 5 drama series Code Of Law. I mean, there was no announcement that Peh was fleeing the local Law & Order rip-off, which she has been the star of since the show’s 2012 debut. Then last week, on the fourth episode of the third season, she wasn't there any more. I found out about it on Twitter. Sure, Keagan Kang, the other star of Code Of Law, is still on the show and is even prettier than Peh, but he’s no Mrs Qi Yuwu. He’s more like Bobby Tonelli Light. So what happened to Peh? Was she killed off? Is she coming back? Did I miss something in the previous episode? Oh, yah, I did because I don’t watch Code Of Law at all. But I do watch YouTube. So Channel 5 has helpfully uploaded on YouTube the Code Of Law episode that Peh last appeared in just so I can find out what happened to her. No other full episode was uploaded on YouTube. Just that one. Why? Because Channel 5 knows that there are many people like me who want to know what the hell happened to Peh and can’t be bothered to go to XinMSN where you can stream all the recent episodes for free. The good thing about YouTube is that with a click of the mouse, you can easily forgo the 45 minutes of American-accented melodrama and skip to the American-accented melodrama at the end where Peh’s character explains why she’s abandoning ship. LOL! Someone should cast Peh in the next Ghostbusters movie. I assume Sanjay is their boss at the law firm. Like I said, I don’t watch the show. So they didn’t kill her off. Peh’s character is going on “an indefinite leave of absence”. Does that mean she may return? For the answer to that, I turned to the source for all my Joanne Peh-related information, the Instagram of Jollity Club, “the one and only official Singapore-based fanclub for Joanne Peh”. 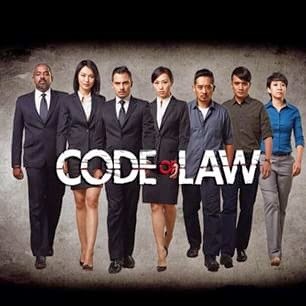 Pls note that Joanne will not be making an appearance in future episodes of Code of Law 3. For those who missed the earlier episodes pls watch it on xinmsn. Oh. So she’s really gone – at least for the season. I wonder what could’ve caused Peh’s sudden departure from the show. Perhaps it’s because of her role in the upcoming movie, 1965? Who knows? I can’t think of anything else? Can you? What do you mean Joanne Peh is pregnant? Didn’t she just marry Qi Yuwu? They announced her pregnancy last week? Am I the only person in the whole world who doesn’t know? This is what happens when I don’t check the Jollity Club Instagram for a couple of days. Why didn’t you tell me earlier instead of letting me go on and on like a fool about Code Of Law? Who cares about freaking Code Of Law?! Now I feel so stupid. Do reporters still go to him for quotes every time something happens to Peh? Once Joanne Peh’s boyfriend, always Joanne Peh’s ex-boyfriend. When she married Qi last September after breaking up with Tonelli, it was as if to prove how wrong I was to suggest in an earlier column that her relationship with Qi wasn’t real. I admitted I was wrong in another column and pleaded for them to stop rubbing it in my face. And here they are, rubbing it in my face again. I wish I could go on an indefinite leave of absence from them – and all celebrity pregnancies. Didn’t we just go through one last year with Fann Wong? Wong was 43 when she had her first child. Peh is only 31. What’s the rush, girl? Does she want the SG50 Baby Jubilee Gift so badly? And the kid will be born in the year of the goat. That’s baaaaaa-d.
What about Code Of Law? Will she be back from her “indefinite leave of absence” after giving birth? Or will she star in a new local rip-off of Modern Family instead? You know, since she would have a little family of her own then and her husband is rumoured to be gay. You can’t get any more “modern” than that. I hope Channel 5 will upload the new show on YouTube. Otherwise, I’ll never see it.